In the course of one of those long conversations in Robert Musil's The Man without Qualities, Ulrich tries to convince his sister Agathe that a profound mystical experience can be had whilst "sitting on a fallen tree or a bench in the mountains, watching a herd of grazing cows." But, he cautions, "what's normal is that a herd of cattle means nothing to us but grazing beef. Or else a subject for a painting, with background. Or it barely registers at all." Our minds tend to focus on merely practical questions and minor deliberations - we don't see the paper, only the calculations that appear on it. Agathe interrupts him: "And suddenly the paper tears!" 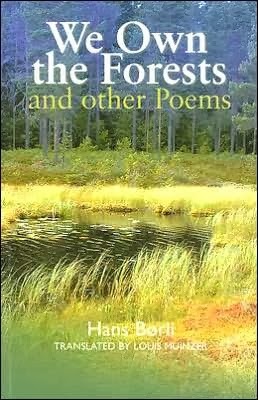 When this happens the landscape is no longer paintable and the pictorial plane becomes, in Ulrich's words, "an ocean swell of sensations ... everything somehow flows over into you, all boundaries gone." From there the conversation turns away from the imaginary view to consider broader questions on the nature of goodness and love. But a few pages later (page 833 of the Sophie Wilkins and Burton Pike translation), Ulrich turns the conversation back to those cows and asks Agathe to imagine "some high bureaucrat" sitting there (I meet a lot of high bureaucrats in my work so can imagine the scene). "When he looks at the herd of cows he neither counts them, classifies them, nor estimates the weight on the hoof of the animals grazing before him; he forgives his enemies and thinks indulgently of his family." But regrettably such a feeling only lasts as long as his vacation. "Mysticism, on the other hand, would be connected with the intention of going on vacation permanently. Our high official is bound to regard such an idea as disgraceful and instantly feel - as in fact he always does towards the end of his vacation - that real life lies in his tidy office. And do we feel any differently?" Ulrich is a scientist and sceptical by nature, but concludes that even religious people "are so infected with the scientific way of thinking that they don't trust themselves to look into what is burning in their innermost hearts..."
I mentioned Edward Chell's art of the motorway verges in an earlier post on Paul Farley and Michael Symmons Roberts' book Edgelands. Since then he has had an AHRC grant to make new work and research the parallels between motorway design and historic theories of landscape appreciation. 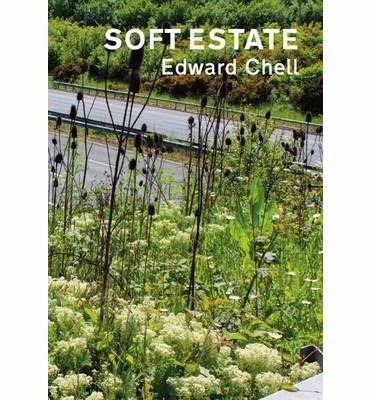 Edward has kindly sent me a copy of the resulting book, Soft Estate, handsomely produced by The Bluecoat gallery in Liverpool, where his paintings and sculptures have been exhibited alongside work by ten other contemporary artists of the edgelands. 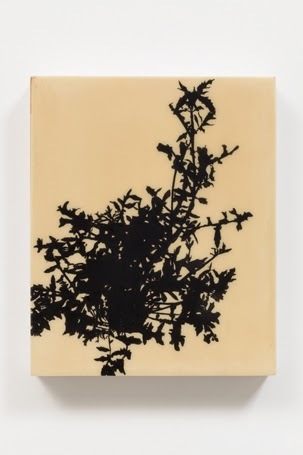 His own work focuses on the plants to be found in this 'soft estate', the name given by the Highway Agency to the 22,000 hectares of land it manages as part of the national system of motorways and trunk roads. Silhouettes of thistle and hairy bittercress, buttercup and dandelion, lady's bedstraw and yellow rocket are printed on paper in a mixture of ink and road dust, or onto blue reflective aluminium panels resembling roadsigns. There is a sad sense of isolation in these monochrome images, abstracted from photographs of plants that are growing in places nobody visits. Some of them are coated in lacquer and would resemble pressed flowers except that they are painted in black, like shadows or carbon traces. I should probably admit that as a very infrequent and unconfident driver myself I have always avoided motorways. They seem to me a kind of inverse of the Sublime - instead of viewing an awesome natural phenomenon from a place of safety, you pass through miles of banal terrain whilst having to safely negotiate the torrents of cars and looming juggernauts. Everything seems to conspire against aesthetic pleasure in the environment, from the constant pressure to keep up speed to the need to seal yourself in from the wind and noise. I wonder how different the motorway would feel if you had it all to yourself and could concentrate on the experience of the unfolding roadscape. In his essay, Edward mentions a formative childhood incident: 'I secretly rode my Raleigh on the M62 after it was constructed across the Pennines at Outlane near Huddersfield but before it was open to the public.' It sounds like Wordsworth's 'act of stealth / And troubled pleasure' in stealing a boat to row out onto a lake, as recollected in The Prelude. I am reminded too Tony Smith's much discussed account of the moment when he realised that traditional art could not compete with the feeling of driving along the unfinished New Jersey Turnpike, a text that became central to debates about the future of art in the late sixties. Last Saturday The Independent had an 'In the Studio' feature on Scottish environmental artist Elizabeth Ogilvie and found her 'experimenting with blocks of melting ice suspended over a small pool, to be shown near to projections of glaciers in her forthcoming show.' 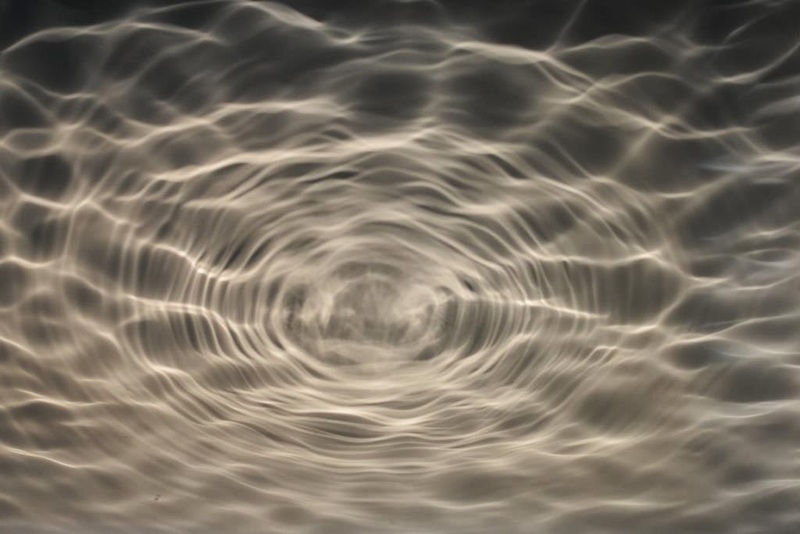 Today we went to see this exhibition, Out of Ice, and spent some time watching the dripping ice, lit by theatre lights so as to create beautiful ripples and waves on the surrounding walls (as you can see from my photographs below). By this afternoon there were only a few of these blocks left unmelted and two actually splashed down into the water whilst we were there (when I heard the first one go behind me, I looked back expecting to see one of our sons in the water...) The exhibition also includes footage on four screens of Inuits the artist met on a trip to Northern Greenland, talking about the impact of climate change. Under the circumstances these were a bit harder to engage with - it was actually difficult to drag ourselves away from the main installation as we waited in hope of another block falling. I found myself thinking that there must be a sad beauty in the way ice is changing as it retreats, in spite of the environmental damage it signifies. 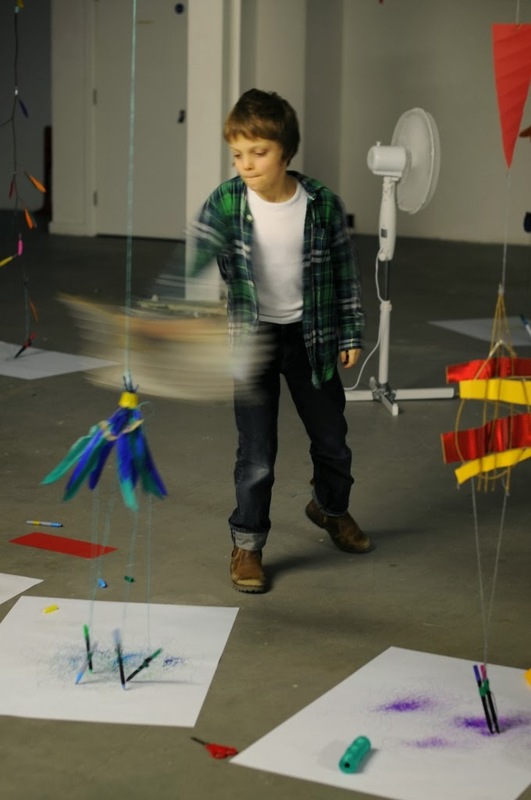 Another reason to visit today was an enjoyable wind drawing workshop for kids, run by Katie Fowlie with Jacob Bee and Rob St. John (whose music I have referred to here before). Sadly it was confined to the interior of the exhibition space, underneath the University of Westminster, and so wind had to be generated by vigorous use of a fan. This resulted in a kind of expressionist action drawing which it would be interesting to compare to something generated by the swirls and eddies of 'real' breezes. I had thought we might be using contraptions like Chris Welsby's Wind Vane, only with pens and paper rather than a film camera. In fact various types of writing sculpture had been built and our boys both went for a feather-based approach. It inspired me to to try something similar outdoors next time we all go to Epping Forest, although as we left the boys were more interested in building a recreation of Elizabeth Ogilvie's installation, with slowly melting ice cubes suspended over a tray of water. If we associate landscape with slow cinema it is partly because we are used to seeing scenery framed statically, like a photograph, focusing our attention on small movements or gradual change. Speeding things up by using time-lapse photography would feel inauthentic, like nature on fast forward, a concession to our diminishing attention spans. We have all now seen footage of clouds chasing over a landscape or a city of lights flickering off and on as day follows night, they have become visual clichés. And yet I wonder if there are still unexplored possibilities in what may seem a rather over-used technique? There are certainly moments in Godfrey Reggio's Koyaanisqatsi, filmed in the late seventies and released in 1982, that still look extraordinary. Every kind of sublime is explored - natural, industrial, digital - and time-lapse sequences include shadows lengthening over a desert wilderness, rivers of cars heading into Los Angeles and the constant motion of factory production lines. I think it would be interesting to see similar techniques deployed more often on a modest scale by contemporary landscape filmmakers (see for example my earlier post on Jeffrey Blondes' Length of Days). Koyaanisqatsi may be best known for its Philip Glass score (at the time minimalism and time-lapse must have felt right together as Michael Nyman composed a piece called 'Time Lapse' for Peter Greenaway's A Zed & Two Noughts). 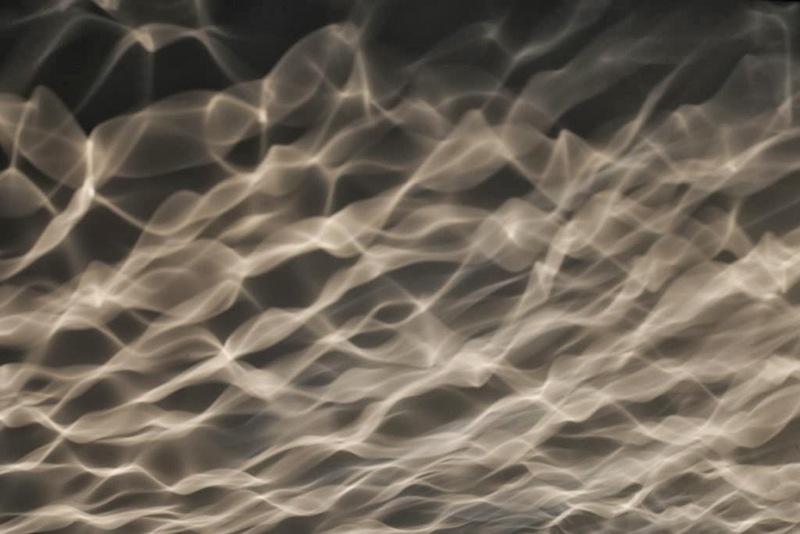 Glass's music for Reggio captured 'both the calm of nature and the ferocity of technology run amok', as K. Robert Schwarz writes in his book on the minimalist composers. However, their sequel Powaqqatsi (which I've not seen) was less successful according to Schwarz - 'a simplistic comparison of idealized third-world agrarian societies with dehumanized Western urban ones, accompanied by a score overburdened with exotic instruments of every variety'. 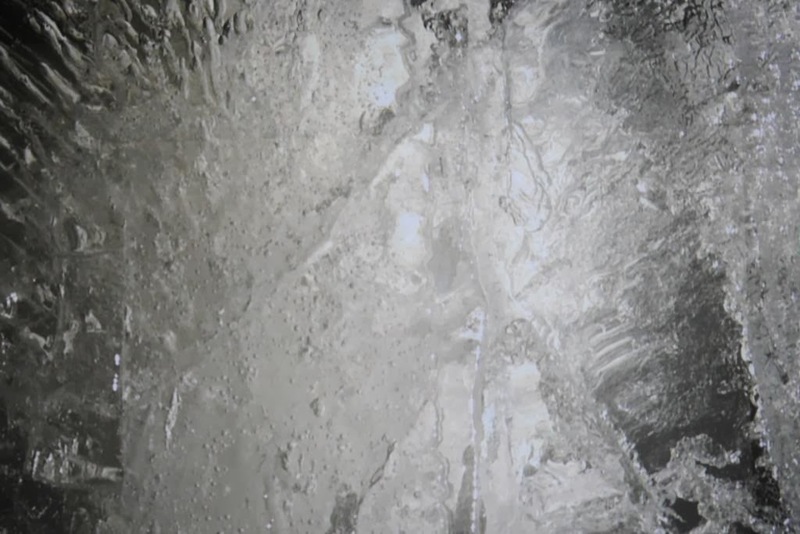 Glass and Reggio have recently collaborated again on a film called Visitors. Introducing this in September at the Toronto International Film Festival, Steven Soderbergh said (according to Filmmaker Magazine) that “if, 500 years ago, monks could sit on a beach and make a movie, this is what it would look like.” Meanwhile the Philip Glass title music for Koyaanisqatsi was used in the opening sequence of another film released last year: Alan Partridge: Alpha Papa. John Akomfrah's film The Nine Muses (2010) is a poetic essay film on the immigrant experience, based on archival documentary footage and structured around The Odyssey and the muses of Greek mythology. The reason I'm writing about it here is that it also includes, as Peter Bradshaw put it in The Guardian, 'mysterious images of people in different coloured coats with their back to the camera, in stark and snowy Alaskan landscapes: I wondered if he intended an allusion to Caspar David Friedrich's painting Wanderer above the Sea of Fog.' I wondered this too - it is hard to tell precisely what these beautifully shot landscape sequences are for and I was expecting some more direct connection to be made (perhaps at the end) with the disorientation and dehumanising solitude of the immigrant. The DVD we watched had an interview with Akmofrah but he makes no mention in it of these Alaskan landscape scenes. Looking now online I have come across a Press Pack with an interview in which Akomfrah explains that in 2009 he had gone to Alaska to do a film about the Exxon Valdez Oil Spill for the BBC. 'And I fell in love with the place. So the bulk of this stuff came from Cordova, Anchorage.' But he also says that 'what I wanted to do initially was a piece on T.S. Eliot's The Wasteland. That's what I shot the material for.' So the landscape element of The Nine Muses was not filmed with the subject of immigration in mind. Some viewers are therefore likely to find, like the Telegraphs's critic, that 'Akomfrah’s staged wanderings around chilly Alaskan landscapes' unsuccessfully integrated with the rest of the material. On reflection I thought they worked surprisingly well, partly as a result of Trevor Mathison's impressive sound design. In some ways though, the film's most interesting landscapes were those glimpsed in the old black and white footage of 1950s Britain - a kind of wasteland of dingy shopping streets, back-to-back terraces, bare trees and grey winter roads on which the snow seems unable to settle. A pretty miserable rainy day so we went this afternoon down to the London Museum and on our way popped into the Whitechapel Gallery to have a look at 'East Coast: Damn Braces: Bless Relaxes'. This is a small assemblage of artworks relating to landscape and the politics of place on the East Coast of England, ranging from the watercolours and sketches of the Norwich School to the activities of artists associated with the Humberside College of Art in Hull during the 1990s. I was pleased but a bit surprised to see Paul Nash's The Rye Marshes, until I reflected that Rye is at the point where the South Coast starts to bend into the East Coast (and the painting itself is normally in Hull, at the Ferens Art Gallery). I was reminded a bit of Patrick Keiller's recent exhibition at Tate Britain: works have been selected not for their own sake but to illustrate or hint at historical and contemporary questions of land use and ownership. A small pencil drawing by Cotman, for example, has been chosen because it shows Kett's Castle (Robert Kett led a rebellion against enclosure in 1549 and was captured, held in the Tower and then hanged from the walls of Norwich Castle). Cotman also painted a view of Mousehold Heath, in which a small area of the common land can be seen enclosed and ploughed up. The pleasure in curating an exhibition like this must come in making links across time and different media (as I often try to do here). So, opposite the Cotman are two paintings by Peter De Wint showing the Lincolnshire Wolds at the time of the early nineteenth century enclosures. Printed next to them on the wall is a poem by that great champion of the commons, John Clare, praising De Wint for his unassuming subject matter: 'No rocks, nor mountains, as the rich sublime, / Hath made thee famous; but the sunny truth / Of Nature, that doth mark thee for all time, / Found on our level pastures: spots, forsooth, /Where common skill sees nothing deemed divine.' In a case in front of the De Wints is the notebook of another poet, Alfred Tennyson, opened to the lines of 'In Memoriam' in which he writes of finding 'no place that does not breathe / Some gracious memory of my friend ... No gray old grange, or lonely fold, / Or low morass and whispering reed, / Or simple stile from mead to mead, / Or sheepwalk up the windy wold.' The landscape here again is Lincolnshire, where Tennyson grew up and later spent time with Arthur Hallam, and where, in 1833, he received the letter telling him that his friend had died suddenly of a stroke at the age of 22.